It is reported today that the UK has been taken to task by the Council of Europe’s new human rights commissioner for failing to implement a ruling by the European Court of Human Rights on voting by prisoners. This is an important issue both in its own right, and because it highlights a number of matters concerning how human rights are protected in the UK. But first, some background. to hold free elections at reasonable intervals by secret ballot, under conditions which will ensure the free expression of the opinion of the people in the choice of the legislature. Clearly, this says nothing explicitly about whether prisoners should be allowed to vote in elections. But the European Court of Human Rights has held that UK law – which bans all serving prisoners from voting – places the UK in breach of its duty to allow “the people” freely to express their opinion via the ballot box. The Court has not said that all prisoners must be allowed to vote – but a prohibition on voting by all prisoners is not permitted. In other words, the duty “to hold free elections” etc contains an implied right to allow at least some prisoners to vote. What this boils down to is that while states that are parties to the European Convention can stop some prisoners (e.g. those serving longer sentences for more serious offences) from voting, they are not allowed to ban all prisoners from voting. But successive UK governments have delayed changing the law so as to bring it into line with the Court’s interpretation of the Convention – because public opinion (or at least a significant section of it) is against doing this. 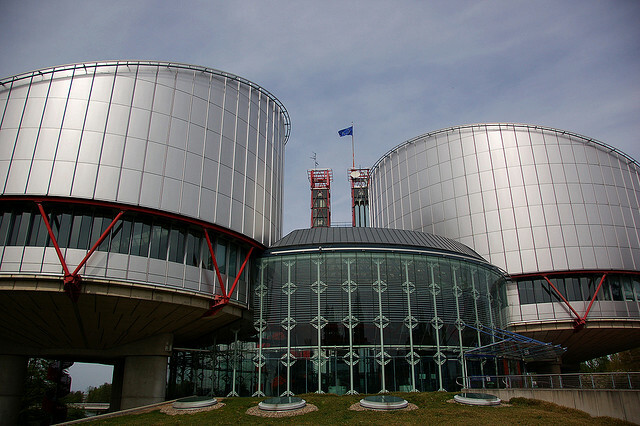 The UK is now required by the European Court to bring forward proposals to amend the law by November 2012. As a matter of policy and principle, should prisoners be allowed to vote – or should that right be sacrificed along with the other rights (e.g. liberty) that prisoners lose whilst incarcerated? Should the question whether prisoners ought to be allowed to vote be regarded as a legal question (to be decided by courts) or a political question (to be decided by Parliament)? Was it acceptable for the European Court, in effect, to read into the duty to hold free elections a duty to allow some prisoners vote – given that the Convention says nothing explicitly about prisoners voting? Is it acceptable for a European institution, like the European Court of Human Rights, to require the UK to change its law in this (or any other) way? Like so many of the questions that arise in this area, none of the above questions has an objectively correct answer. Rather, what you consider to be the right answer will depend on what you think about a range of underling issues – as is apparent from the contrast between this article in the Daily Mail and this one in the Guardian. So, as you think about the above questions, try not just to arrive at an instinctive response to them: try also to work out what underlying values get you to your response – and then ask yourself whether those underlying values can withstand analysis.